Red And Green Trucks Arrives On An Asphalt Road Between The Yellow Flowering Rapeseed Field In The Rural Landscape. Wooded Mountains In The Background. Blue Sky With White Clouds. Фотография, картинки, изображения и сток-фотография без роялти. Image 54491362. Фото со стока - Red and green trucks arrives on an asphalt road between the yellow flowering rapeseed field in the rural landscape. Wooded mountains in the background. Blue sky with white clouds. 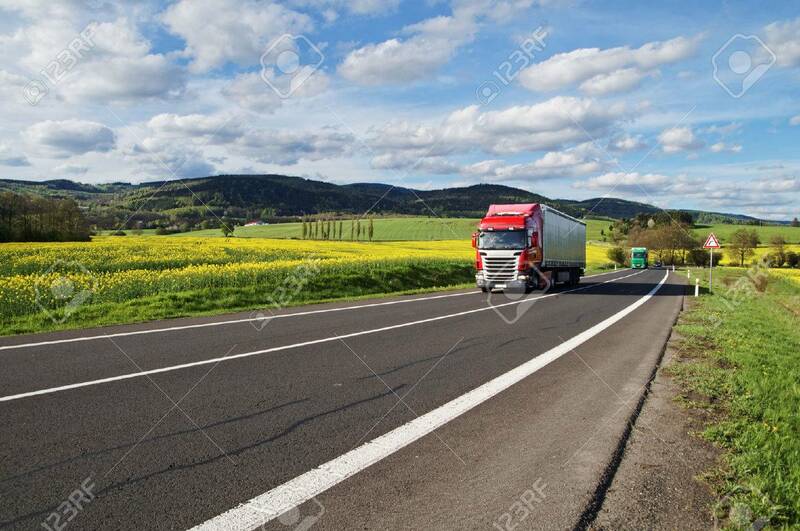 Red and green trucks arrives on an asphalt road between the yellow flowering rapeseed field in the rural landscape. Wooded mountains in the background. Blue sky with white clouds.